How do we find the life that's right for each of us? More and more of us are feeling overwhelmed by the everyday struggle to lead the lives to which we aspire. Children are placed under unbearable pressure to achieve; adults fight a constant battle to balance family life with work and economic demands; old people suffer from social isolation and a lack of emotional security. People of every age are feeling increasingly at odds with the world, and less able to live a life that corresponds to their individual needs and talents. At the root of this problem, argues internationally renowned child development expert Remo Largo, is a mistaken idea of what makes us human. A distillation of forty years of research and medical experience, The Right Life sets out a new theory of human thriving. Tracing our development as individuals from the beginnings of evolution to the twenty-first century, he sets out his own theory, the 'Fit Principle', which proposes that every human strives to live in harmony with their fellow humans and their environment. Rather than a ceaseless quest for self-improvement and growth, he argues, our collective goals should be individual self-acceptance, as we embrace the unique matrix of skills, needs and limitations that makes each of us who we are. 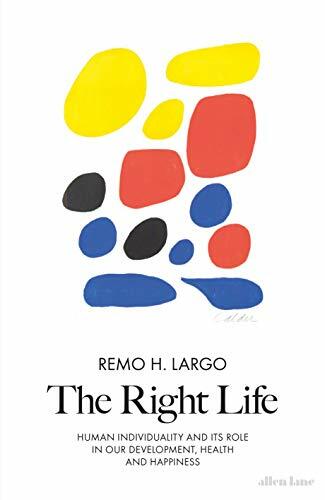 Not only, Largo suggests, can a true understanding of human thriving help people find their way back to their individuality; it can help us to reshape society and economy in order to live as fully as possible.